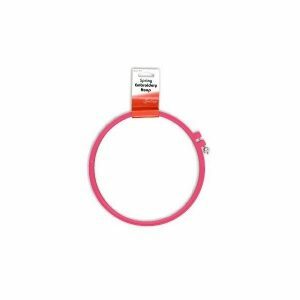 Plastic With Removable Chrome Ring For Securing Work – Very Easy & Efficient To Use. 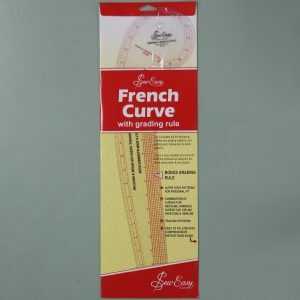 Longer Length Enables Cutting Without Moving Ruler. Easily Cuts Up To 8 Layers Of Homespun. Safety Feature – Only The Edge Of Blade Is Exposed During Cutting, And Retracts When Not In Use. Left Or Right Handed Use. 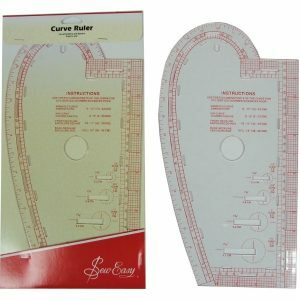 Sew Easy Rotary cutter blades are designed to work with Sew Easy Rotary cutters & most other brands. 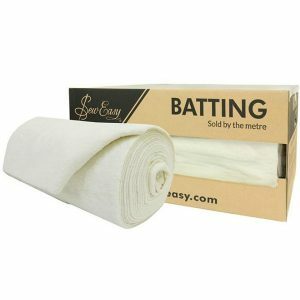 Supplied in sturdy PVC storage pack. 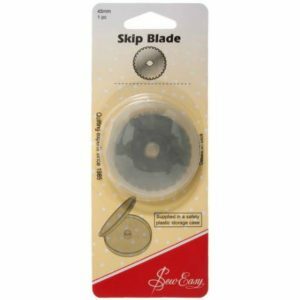 Pack contains one replacement blade. 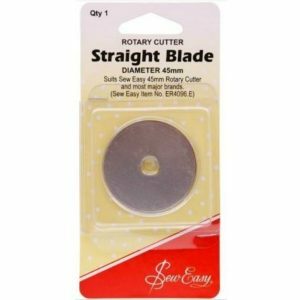 Sew Easy Rotary cutter blades are designed to work with Sew Easy Rotary cutters & most other brands. 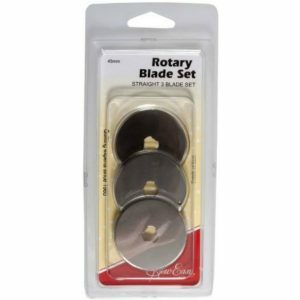 Pack contains 3 replacement blades. 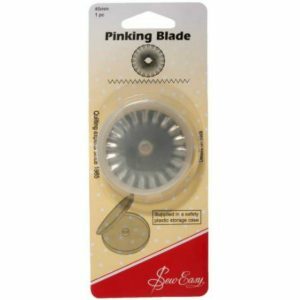 Premium quality blades featuring finely ground hardened steel for superior sharpness and longer life. 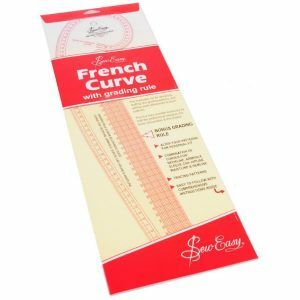 Suits Sew Easy 45mm Rotary Cutter (CODE: 4095) and all major brands. 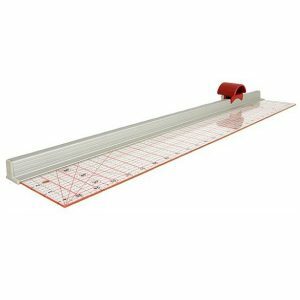 This blade can be used for creating perforations on paper only. 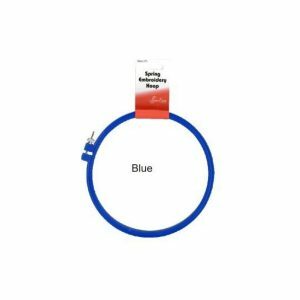 Supplied in safety plastic storage case.